Electrek reports that Musk told employees in an email that Tesla managed to hit a production rate of 1,000 Model 3s in a day. But Musk said the company needs to work to sustain that rate and then focus on reducing costs to profitably make the standard Model 3. “It’s important to bear in mind that the cost of the car is made up of about 10,000 unique parts and processes. depending on how you count it, the current cost of a standard range Model 3 would be around $38,000, so each part or process step only costs around $3.80,” Musk reportedly said in the email. Tesla said it had no comment on the email, and refused to confirm its authenticity, but Musk has been known to regularly fire off notes to employees about production of the Model 3. And an apparent copy of his remarks has been circulating on Twitter. As it stands, the cheapest Model 3 that’s available right now is a $46,000 mid-range model, which nets 260 miles on a single charge. The $35,000 model, promoted since the car was first announced in 2016, is expected to get 220 miles on a single charge. Musk has consistently faced questions about when the $35,000 model will be introduced. 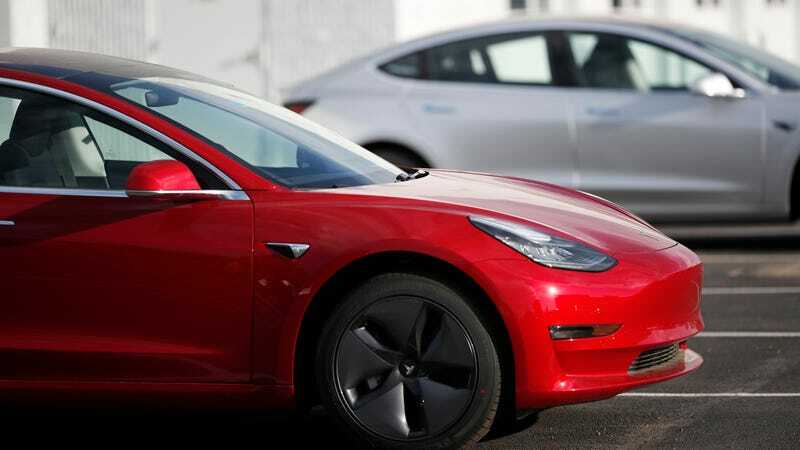 He reiterated last month that he believes Tesla is on target to start rolling them out in early 2019.